What made the headlines in the UK road transport industry in January 2017? And what trends are shaping logistics and distribution? Motortransport.co.uk has all the answers. 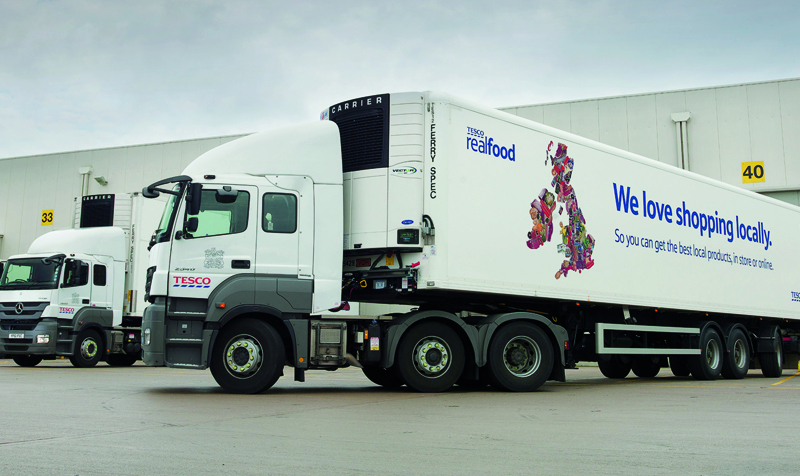 Tesco dominated the headlines: it is set to close two of its distribution centres in the UK, bringing all warehouse operations carried out by DHL Supply Chain and Wincanton in-house, as part of a long-term plan to “simplify” its distribution operations. Meanwhile its £3.7bn merger with wholesaler Booker creates one of the largest own-account operations in the UK. 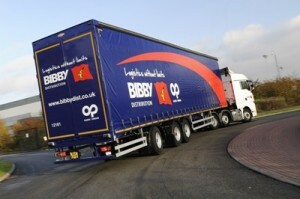 As a result it is targeting cost savings of approximately £61m in its distribution and fulfilment activities. Doing more with less: The pallet network sector is ripe for consolidation and Palletforce may play its part, CEO Michael Conroy told Motortransport.co.uk ahead of the opening of its super-hub in Burton-upon-Trent. Conroy said it was common sense that the eight-strong pallet network sector needed consolidation, suggesting there might only be four or five in the marketplace in the next few years. Everybody’s Abbey: Abbey Logistics bought the complete share capital of bulk liquid food operator Armet Logistics, with CEO Steve Granite telling Motortransport.co.uk that growth, rather than reducing cross-company costs, will be the focus. Down, down: Finally, on 31 January, Widdowson Logistics, part of the Davis Haulage Group, entered administration once again. Three weeks earlier… Davis Haulage, part of the Davis Haulage Group that also owns Widdowson Logistics, also appointed administrators. Longer for longer: The FTA welcomed the decision to extend the longer semi-trailer trial in both scope and length. In an update to its dedicated trial webpage, the DfT said an additional 1,000 longer semi-trailers were to be made available and the trial extended by five years. Brexit means Brexit – which means? : The Home Affairs Select Committee was told that a significant proportion of UK exports will get delayed if customs clearance is reintroduced as a consequence of Brexit. The RHA warned that leaving the European single market and the European Union Customs Union “will inevitably add a degree of administrative cost” to UK operators and could slow down the supply chain. This was echoed by hauliers in Northern Ireland and the Republic of Ireland. January saw contract wins for… Hoyer Petrolog, which extended its contract with Rontec; XPO Logistics won a contract with Costco UK to handle the retailer’s reverse logistics for its 28 UK warehouses; Wincanton won a three year contract with Coca-Cola to run the confectioner’s warehouse in Lisburn, Northern Ireland and NFT won a three-year contract with Yoplait UK to manage its entire UK chilled supply chain. Do you have what it takes? : In January Motortransport.co.uk revealed its Power Players 2017: the 10 most influential people in transport. Find out who made the list and, more importantly, why they move the market. Size matters: The 50 largest commercial vehicle rental and leasing businesses in the UK had more assets on their books in 2016 than the largest 100 did in 2015 – according to research conducted for the 2016 edition of CV Informer. Grocontinental has opened a £6.5m chilled warehouse and taken delivery of 65 new trucks in response to increasing customer demand. 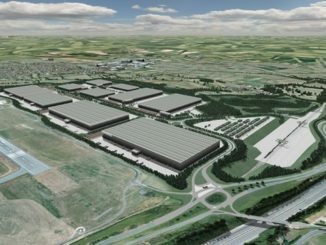 Online retailer Shop Direct – owner of the Very and Littlewoods brands – is to open a 500,000 ft2 automated fulfilment centre near Castle Donington in Leicestershire. 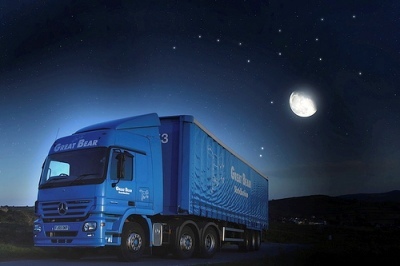 Great Bear Distribution has said a large new DC it is to set up at Markham Vale, Chesterfield, will create a “significant” number of new jobs.